We will create, together with you, a custom design to fit your Mehendi Dreams. From Traditional to Contemporary. Our custom blend of bridal Mehendi, leaves a rich long lasting red /red-brown. 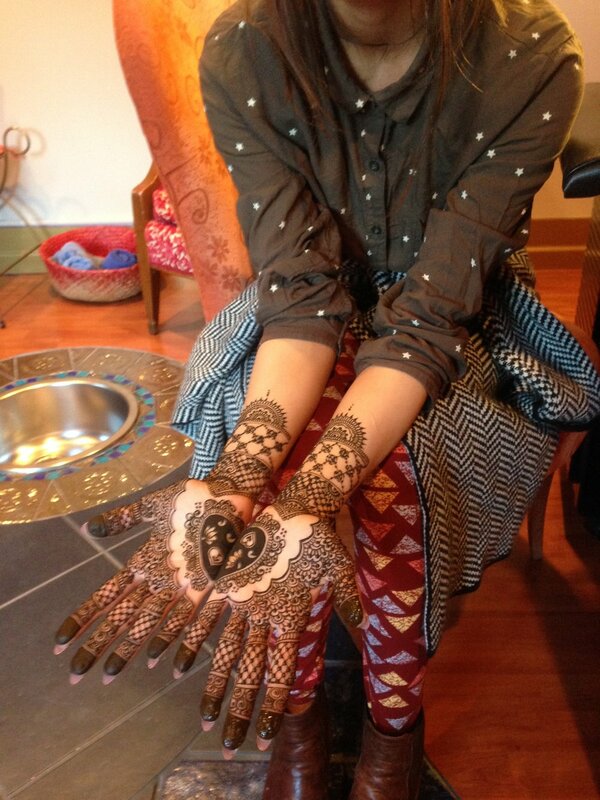 Robin Jaeckel, owner and lead artist at Henna Rising, is the primary bridal artist. 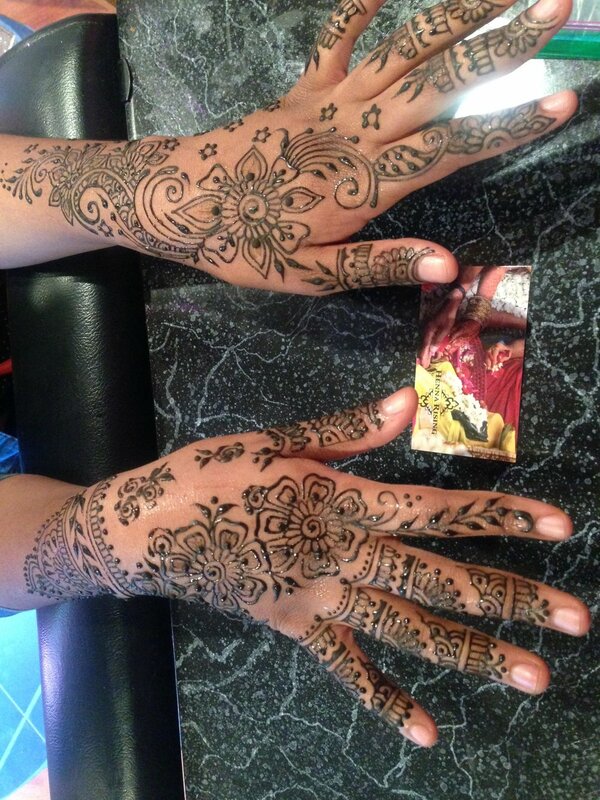 We are fortunate to also have several talented artists, that have/ are trained by Robin personally, to support her to provide professional quality henna and artistry for our clients. A consultation with the bride is recommended. During this time, you will meet with Robin to discuss the mehendi you have always wanted. you can book your consultation with Robin on line. Based on the number of guests and the amount of time available, we have the resources to accommodate your party, large or small. Let us know your celebration plans, how many guests and where your event will take place. Bridal Packages are available for booking both your bridal mehendi as well as for your guests. In addition to traveling to your event, there are several options available in Blu Water for small engagement parties and bridals.